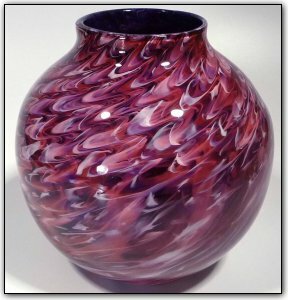 This urn style round bowl features many shades of pinks and purples, with luscious and beautiful swirls and white highlights swirling throughout. Make sure to zoom in to see just how deep and luscious the colors are, and the way they interact with each other in lacelike patterns. Such a unique and beautiful bowl!